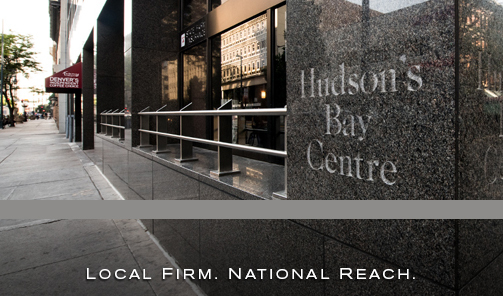 For years, employers have made arbitration of employee disputes a requirement of employment by including arbitration agreements in their employment agreements or offers of employment. Often times, those arbitration agreements include class action and collective action waivers—meaning that employees are prohibited from pursuing lawsuits against their employers on a class action or collective action basis. Employees have complained that these agreements make litigating many issues, including wage issues under the Fair Labor Standards Act, more difficult, because often class action lawsuits are the only financially viable way to challenge large companies. Arbitration is also considered to be employer-friendly, as arbitration is confidential, unlike open court, and not subject to large jury awards. Until recently, there was no debate that such provisions were enforceable. However, in 2012, the National Labor Relations Board (“NLRB”), took the position that the National Labor Relations Act (“NLRA”) nullified the Federal Arbitration Act (“FAA”), thus rendering such arbitration agreements in the employment context unenforceable. In late 2017, the Supreme Court heard oral arguments on this issue. The parties in favor of the NLRB’s recent position argued that the NLRA had displaced the FAA in three ways: 1) the savings clause in the FAA allowing for the revocation of any contract “upon grounds that exist at law or in equity” includes the NLRA law, which supposedly renders arbitration agreements illegal; 2) the NLRA cannot be harmonized with the FAA, because the NLRA specifically allows collective bargaining and concerted action; and 3) the Chevron decision, which provides that the Supreme Court must give deference to an agency’s interpretation of its own statutes, requires the Supreme Court to abide by the NLRB’s reading of the NLRA. The Supreme Court disagreed with each of these positions. 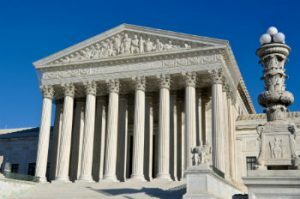 The Supreme Court held that the savings clause in the FAA applied only to contract-based defenses, such as fraud, duress, or unconscionability, and not to the NLRA’s statutory scheme. The Supreme Court further analyzed the language of the NLRA, and found that the NLRA does not reflect a clearly expressed and manifest congressional intention to displace the FAA and to outlaw class and collective action waivers (and that Congress knows how to exclude certain activities from the FAA in a clear fashion if it wishes to do so). Finally, the Supreme Court held that Chevron was inapplicable because the NLRB has no authority to interpret the FAA. So what does this mean for employers and employees? The Supreme Court’s holding makes clear that employers may continue to require employees to sign arbitration agreements as a condition of employment. The holding further clarifies that those arbitration agreements may contain class action waivers, which prohibit employees from bringing or joining any class action lawsuits. Employers should have a well-drafted policy in place to ensure the Supreme Court ruling will apply to their agreements with employees. Employees should also scrutinize employment agreements to ensure they understand the ramifications of exactly what they are signing. Employers and employees should consult an attorney for further understanding on this topic.